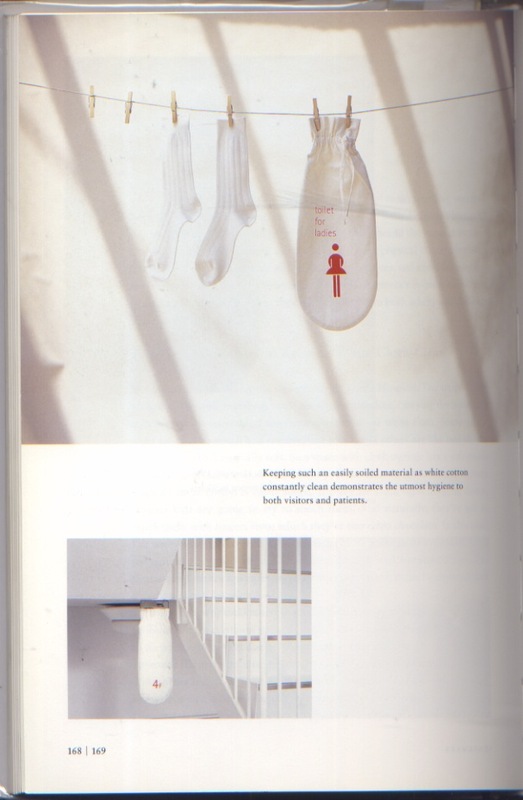 As if hurled, I swing violently from the welcoming breast of Dutch design into the gentle, but distanced hands of Japanese design (like a nun’s hands I think is the idea I’m looking for. Have you ever met a nun? They are supremely kind, hospitable, welcoming, even, but they are distanced: they’ll always be warm to you, but they will always stay just warm, will never overheat.). 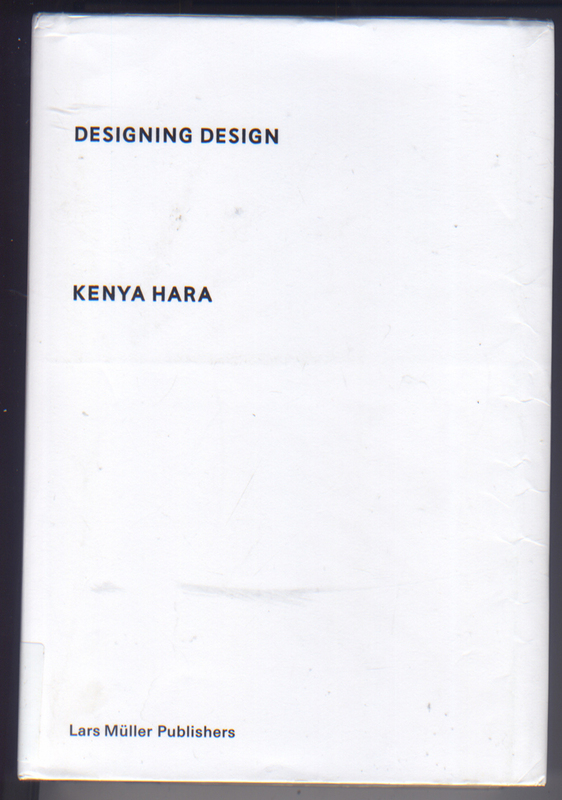 Have been reading Designing Design by Kenya Hara; as many books before and many books after it, it is blowing my mind. I can only hope it is my sincere enthusiasm for design that lets me waft so passively from influence to influence! Anyways, this is truly a terrific book. Pratt Manhattan has it and it’s 100 dollars or something, so I highly suggest you take it out. Very well written, very readable, the typeface is supremely comfortable. I am getting old; my eyes keep having issues, so I am getting crazy for typefaces made for reading at sizes made for not-straining. This is the cover and it makes me happy; do you get it? do you know what this book is about? You should, probably, by know. Or at least you should feel it…. Like everyone great, I think he thinks about anti-things all the time. He talks about thinking in reverse all the time… some quotes/notes will elaborate on this, but first, the perhaps more interesting part: images. Soft, friendly material that gets soiled easily. Annoying, right? 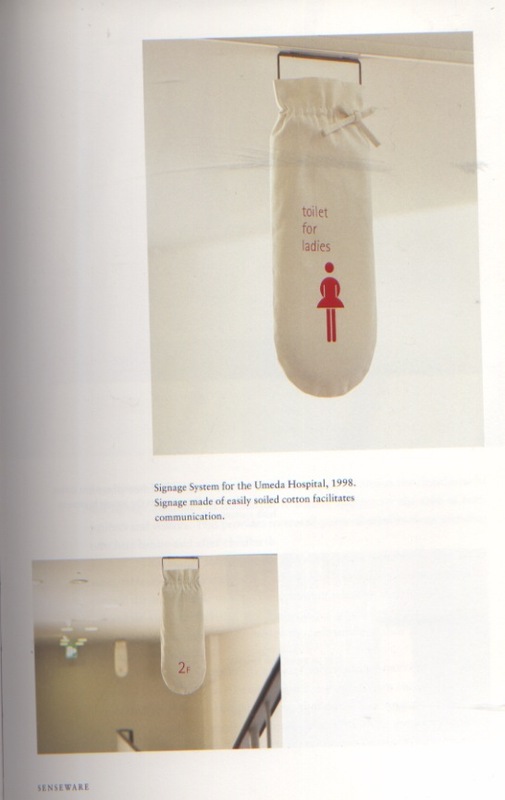 Maybe, but symbol of hygiene. Like a white tablecloth in a nice restaurant. Serene complexity. I told you: Hara knows about the anti, though he’s too gentle to talk about it in those terms. He talks about doing things in reverse. He wanted to make a complex logo system…. that was serene. 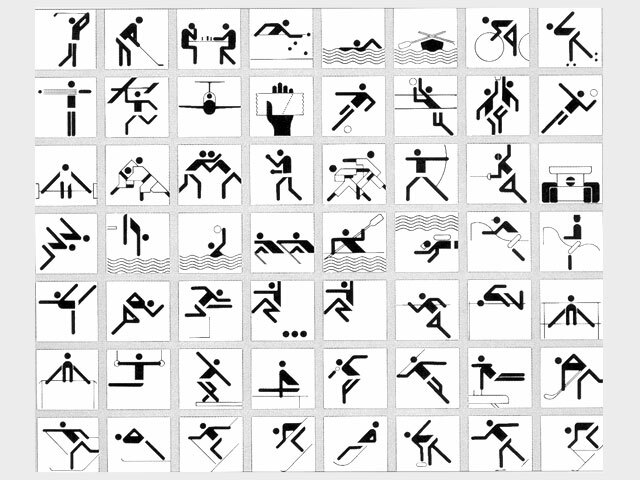 This a proposal for the signage for the Beijing Olympics in China in 2008. Please notice the highly legible text face! There’s a ton more amazing images–even if you don’t want to read the whole thing (it goes really quickly!) you can just flip more–these are just the ones I scanned for my own reasons. Oh, wait, there’s more: I just straight up like this. Hara writess: “It seemed to me that with this work of Aicher’s, systematic graphic design had nearly reached its conclusion.” (p356) Amazing! But, right, no? There is no more abstraction/rationality possible after this, no?? “What constantly invigorates the human mind is the unknown; we aren’t animated by what we already know, but we are eager to make the world known.” (370) He doesn’t go into this too much, but if he is into showing the unknown, but humans constantly want to make known, there is this inherent push-pull tension. “Exformation”. 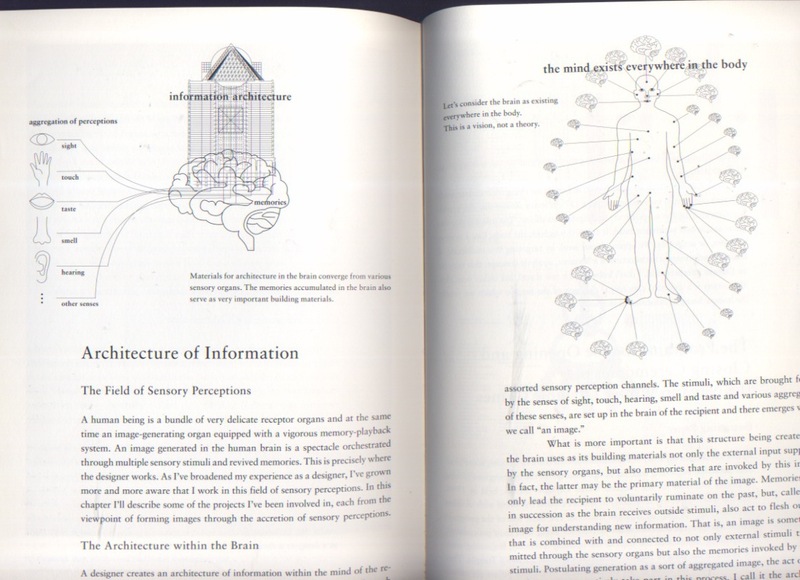 A companion word to “information.” To exform: make clear how little we know. (371) I’ll be frank: I’m not sure I understand this 100 percent, but it relates. 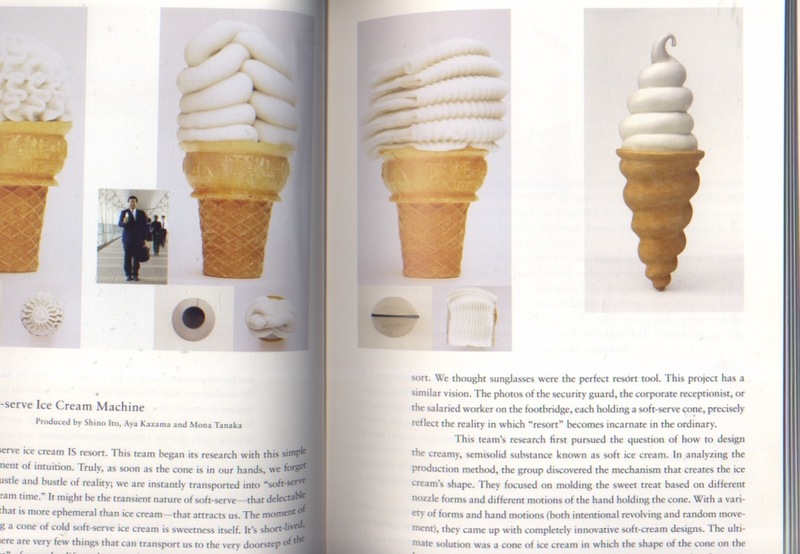 “Creativity is to discover a question that has never been asked.” (372) Another way to look at it. I keep thinking about my teachers: I am not telling you what to think, I am just asking some questions. That sort of thing actually drives me nuts. So I need to resolve some of that for myself. “Design is the provocation of the senses and a way of making us discern the world afresh.” (411) There’s a huge part in the book about awakening the senses period. “A vessel that’s empty has the possibility precisely because it is empty, to hold things inside. In the same way, abundance lies in possibility–the possibility that exists before anything occurs.” (318) (As if to prove this point, I couldn’t stop myself from doodling on a clean mock-up I had done. It was so nice and clean…. and so INVITING. To make inky! offering “not a message, but an empty vessel.” (241) In my eyes, most relevant to making logos. 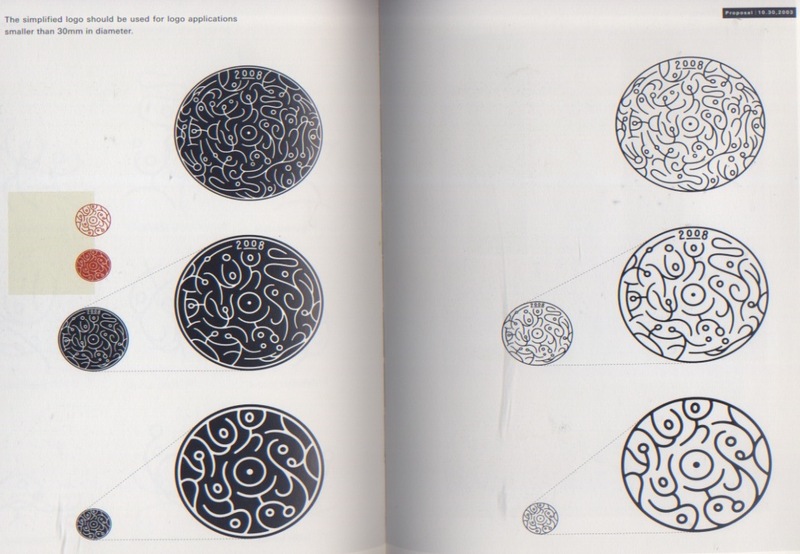 Paul Rand writes about logos similarly, I think.